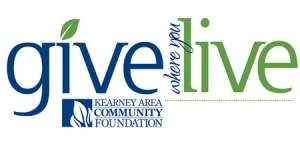 Give Where You Live is a special fundraising event that will unite donors from all over to support nonprofits in the Kearney area and improve our quality of life. It is a community effort led by the Kearney Area Community Foundation that allows organizations like Crane River Theater to continually grow and find new donors. We would like to thank all of you who participated in Give Where You Live in 2017. It was an amazing day that helped out so many nonprofit organizations in our area. Crane River Theater raised more than $20,000. We are overwhelmed by the support year after year and could not be more excited to continue to provide professional theatre productions and arts education programs in the coming years. Finally we would like to thank the Kearney Area Community Foundation for all that they do to improve the lives of people all around us.